Well read on, because here we will discuss the various options calming products for dogs including vitamin supplements, plugin diffusers, calming collars, calming drops and of course the Petmate Calmz Anxiety Relief System for Dogs. The Petmate Calmz® is an innovative system for managing stress and anxiety of your dog. Of the trials we did with anxious dogs, the Calmz® is the one calming product where the results outstripped other calming products. The design itself is simple, but the technology behind the product is incredible. Presented as an adjustable vest that has a neuro-technology device cradled within it, the product looks well made and of high quality. The device sits in the vest, skilfully located over the acupressure points on the spine that are associated with your dog’s nervous response. When activated, the Calmz® triggers a release of blood flow to your dog’s brain. The dog will hear, and feel the vibration of classical music and specific tones on his body. This results in reducing his anxiety, surprisingly fast, usually within a few minutes. We admit to approaching our trial of the Calmz® with a degree of scepticism. The results with a wide range of dogs, eradicated our doubts. With each dog, we noticed an instant relaxation response. Over time, it appeared that each dog became generally less anxious on a daily basis. For emergencies, thunderstorms for example, it was unrivalled. One of the dogs we tested practically turns himself inside out during a storm and had always had to be sedated and crated on any advance storm warning. Over a period of a few months, the need for sedation for this dog became unnecessary, and the dog chose if he went into his crate. The dog’s owner was of course delighted and we happily endorsed this as a top product for dog calming. It is one of the more expensive of the dog-calming products, but there are no ongoing costs and no refills to buy each month. Despite the initial outlay, we consider the Calmz® to be a cost-effective choice and the one most likely to assist the greatest number of dogs with anxiety and stress. 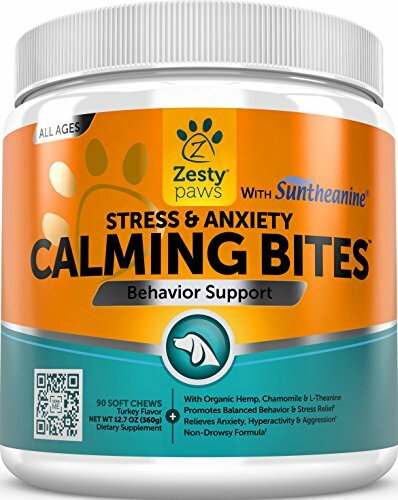 The Calmz Anxiety Relief System offers help for dogs’ anxiety, stress and fear by using non-invasive, clinically proven NeuroSync™ Technology. It comes in two parts; a comfort fit vest and a Calmz device, supported by the vest. The device is held over specific acupressure points on your dog's spine by the anxiety vest. How does Calmz Anxiety Relief System work? It’s an adjustable vest that has a neuro-technology device cradled within it. 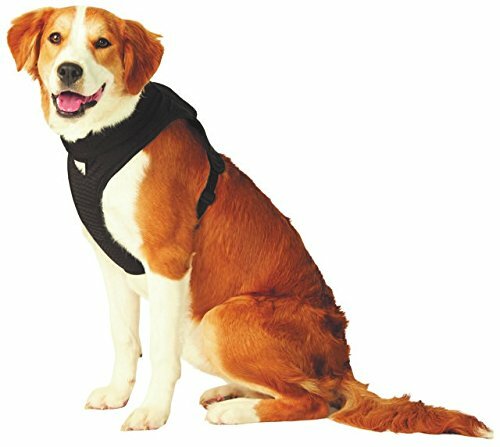 The device is positioned in the vest, so that it is over the acupressure points on the spine that are associated with your dog’s nervous response. When activated, the device helps to release blood flow to your dog’s brain. The dog will hear, and feel the vibration of classical music and specific tones that will help to reduce his anxiety very quickly, usually within a few minutes. When a dog becomes nervous or fearful, his nervous system goes into overload. Unless he has worked through specific training methods to provide him with a coping strategy for his fears, the behaviour will not disappear on its own. Any dog that displays anxiety, fear or nervousness, for any reason will benefit from the what we think is the best product for dog anxiety. The video below explains how the non-invasive Calmz Anxiety Relief System helps the neuro-chemical responses brought on by dog anxiety, fear and stress. 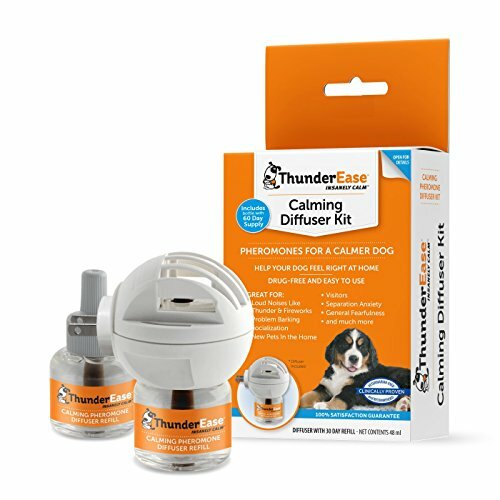 What are your other options for calming products for dogs? Supplements might appear to be a cost effective purchase but there are few things to consider. From our research, the majority of supplements are pertained to be ‘natural’ or organic. Our first recommendation is to check whether the product contains additives. It is preferential to source supplements with 100% natural ingredients. Valerian root is a natural calming herb that is the common ingredient for the majority of calming supplements. Amino acids or essential oils may also be used and ingredients, such as St. John’s Wort and Skullcap are popular. 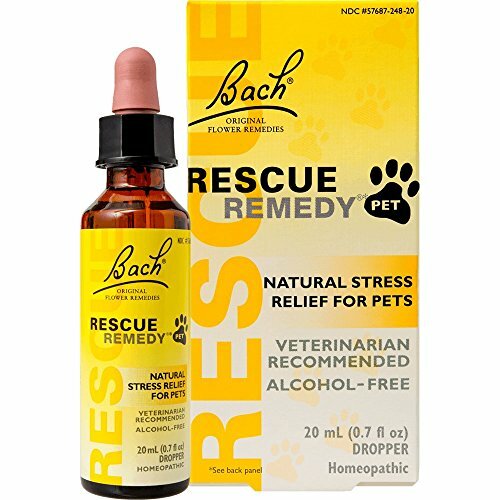 Prices of calming supplements for your dog range from $7.00 and up to around $50.00. With such a wide differential of prices, there are key things to consider. You are likely to have to supplement your dog every day. Your dog may need 1-4 tablets (or liquid equivalent), depending on his size, so your weekly cost can soon add up over time. The supplement will take time to be absorbed with your dog’s system. In order to produce a calming effect, we recommend using for at least one month. Supplements may not be suitable for your dog if he is on veterinarian medication or he may have allergic reactions to one or more of the ingredients. Please check with your veterinarian before giving supplements to your dog. If you plan to use supplements, drops are the quickest way for absorption by your dog. You put the drops onto his tongue at the specified time on the instructions. For long-term use, it is advisable to have ongoing supplementation and an emergency choice – ideal for use when travelling or for unexpected incidences. Plug-in diffusers work by releasing a vapour that mimics natural pheromones to produce a calming effect. Pheromones are naturally occurring chemical compounds that your dog picks up with his scent receptors. The releasing pheromone is associated with calm and well-being. For instance, a pheromone often used is one that replicates a mother dog to her puppies. As a small puppy has no awareness of his world, he naturally feels safe with his mother. When you plug in the diffuser, it generates warmth that releases the pheromone into the atmosphere. Generally, a diffuser can produce good results. The downside is that you may need more than one if your dog has full freedom of the house. The liquid will need replacing, usually every four weeks or so, which will be an ongoing cost. If you are traveling with your dog, clearly you cannot take the diffuser with you so need to consider an alternative for that situation. Collars work on similar principles as diffusers. 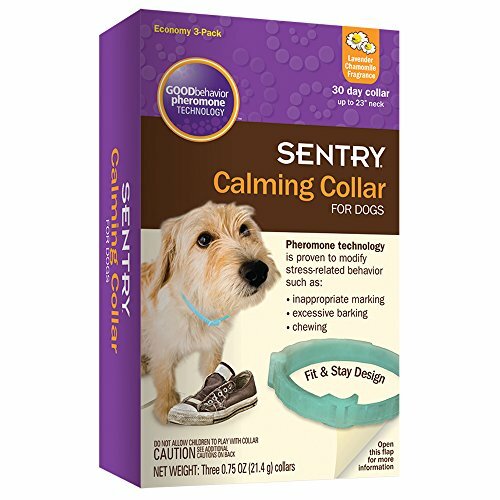 The collar uses pheromone technology or essential oils that typically produce a reduction in stress by naturally creating a sense of safety and calm in your dog. To be effective, the collar needs to be worn 24/7 and will need replacing monthly. In our experience, we cannot report great success with these collars. The results have proved too random for a positive endorsement as a calming product. The collar worked well for a percentage of dogs but made little impact on behavioural issues for other dogs. Whilst most manufacturers say that results are instant, we found it not to be the case with the majority of our trials with anxious dogs. A level of dogs had spectacular results but with other dogs, there was little reduction in their anxiety levels. A calming collar may or may not work for your dog but bear in mind that you will need to renew regularly. Most manufacturers suggest 30 days but, in our experience, we found that the effects grew less powerful after a fortnight or so. Calming drops are excellent for emergencies such as thunderstorms or fireworks. They are idea for when traveling. 1. External use - applied to between the shoulder blades - usually available in pipettes. 2. Internal use - usually in dropper form – dropped onto your dog’s tongue. These products may contain ingredients such as valerian root, hemp, lemon balm, tryptophan, vitamin B or other natural ingredients. If you are in any doubt whether an ingredient is natural, always check with your veterinarian.